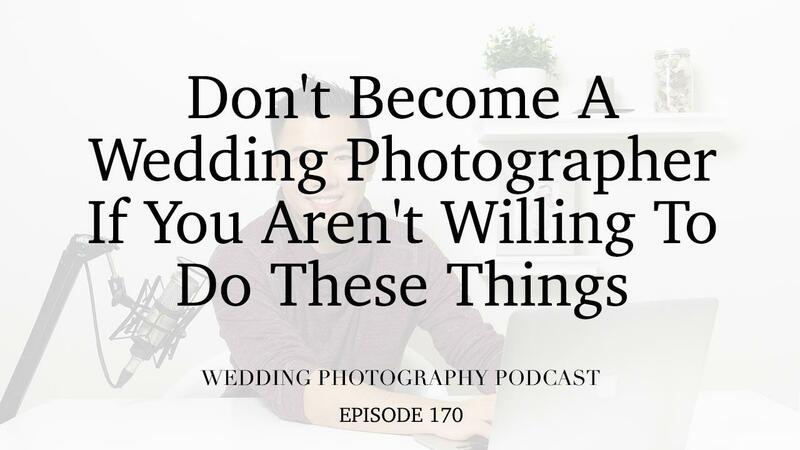 It might sound like a harsh reality check but there are some things you just have to do if you want to become a successful wedding photographer. And if you’re not willing…then don’t bother! It’s better to save your time and money, rather than go down a path that’s doomed to failure. In this podcast episode, I’ll share with you 10 things that you need to do if you want to see traction in your business. We’ll start with things like stop complaining about not getting enough leads or having enough time available, as well as stop making excuses about why you haven’t seen the success you want. It’s also essential that you have a game plan with realistic goals that you’re going to stick to and that you surround yourself with like-minded people who are just as committed as you are to help keep you motivated. This year is all about simplifying your road to success as a wedding photographer and taking a no-nonsense approach. So whether you’re just starting out in the industry or you’ve been at it a while and aren’t seeing the results you want, this checklist should be your first port of call.